Looking for quality household products. Are you looking for something to make the home smell amazing? 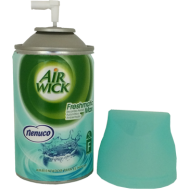 We have some fantastic Spanish household products like air fresheners and other home essentials which will make your home smell better and feel better. Shop our household range now.